1) If traveling long distances, motorists should double check their vehicle to assure it is ready for extended travel. Make sure your car is roadworthy and safe before beginning your Holiday travel. Having the car inspected by a certified auto technician may be the best advice, however personal inspections should include checking for proper tire pressure, making sure the gas tank is more than three quarters of the way full, ensuring that the car battery is fully functional, and testing the various lights and blinkers. 2) Avoid driving for extended periods of time without taking a break. Driving can cause fatigue and result in diminished capacity to properly observe ones surroundings. Stop frequently to rest and regroup. Always avoid consuming alcohol before or during driving. 3) Potential distractions such as cellular phones should be kept at bay. If travelling with children, harmless toys or entertainment devices ensure that boredom does not get the best of them. 4) Make sure the vehicle is outfitted with an emergency kit in the event that something goes wrong. Such a kit should include, but may or may not be limited to: food, water, a first aid kit, a flashlights, money, and blankets. An extra mobile phone is advised as well, in case all other forms of communication die out. 5) If traveling in snow, give yourself extra time. The streets can turn deadly in a moment’s notice. Whether a driver has been on the road for a few minutes or a few hours, attention must be given to fellow motorists and road conditions. Follow the rules of the road, utilize blinkers and headlights when appropriate, observe and follow any and all speed limits, do not keep too close to other vehicles, and in the event of car problems, immediately pull out of the way of other drivers. In New Hampshire alone, a year’s worth of fatal car accidents amounted to $143 million dollars. Don’t be another statistic. 6) In longer trips, fatigue is almost always a factor. Drivers need to recognize when their senses begin losing their sharpness, and when this occurs, it is advised that he or she rotates with another passenger. Of course, any and all drivers should be experienced and carry valid driver’s licenses. Try to drive in shifts and allow plenty of time to reach your destination. Holidays such as Thanksgiving weekend are the best times to reconnect with loved ones and family members. Keep cautious and following these tips and enjoy a safe and delightful journey and celebration. 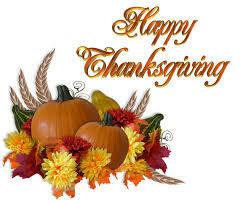 Happy Thanksgiving from all of us at Tenn And Tenn, P.A.